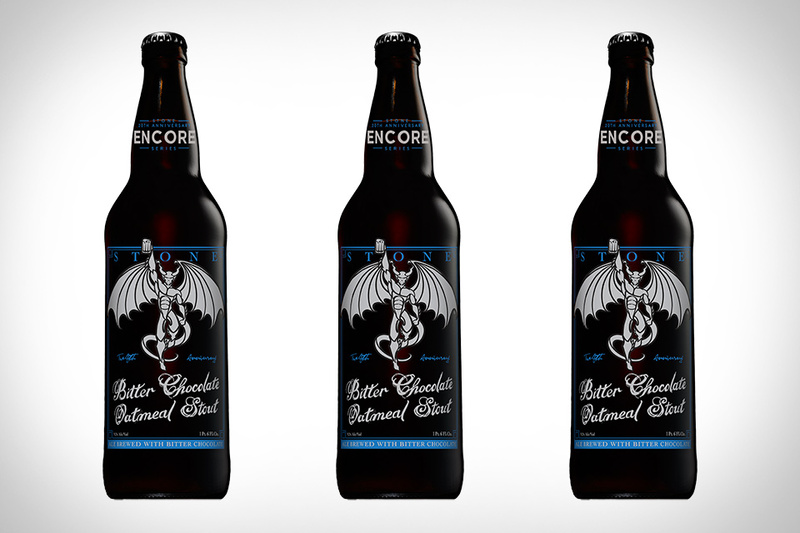 Originally released in 2008 to mark the 12th Anniversary of Stone Brewing, Stone Bitter Chocolate Oatmeal Stout is back for a special encore bottling. Due to a worldwide hop shortage in 2008, Stone brewed this stout to showcase the bitterness of unsweetened chocolate as opposed to the usual hoppy bitterness to mark their anniversary. Brewed again to celebrate Stone's 20th anniversary this year, it's a treat we never thought would see store shelves again. The rich, creamy taste of a beer infused with nitrogen is a special experience. But typically, the experience is limited to stouts. Samuel Adams Nitro Beers include a Coffee Stout, but also add a Nitro White Ale, and a Nitro IPA to the line as well. Each can has a nitrogen filled widget that activates when you pop the top, bringing a rush of velvety smooth beer to your glass. A new way to experience beer styles from a craft innovator. The latest installment in Upslope Brewing's Lee Hill Series could very well be the best. Upslope Barrel Aged Milk Stout is an imperial stout brewed using premium malt and lactose sugar. It's then placed in Maryland-style rye whiskey barrels for seven months. The result is a rich, complex beer with notes of cocoa, vanilla, and cinnamon — elegantly packaged in slim, 19.2oz cans. A preferred choice during the winter months, an English style Barleywine provides warmth and flavor to help ward off freezing temperatures. Mash from The Bruery not only fits that description, but was also aged in bourbon barrels to make is even more attractive. It's sweet but not cloying with flavors like dark fruits, caramel, vanilla, toasted coconut, and toffee. Overall, it's a big beer. And at 12.5% ABV, it's a warming nightcap that's sure to thaw the iciest of palates. The Mad Scientists at Sixpoint are at it again with their latest offering Sixpoint C.R.E.A.M. The new release is brewed with a blend of pilsner and two-row pale and crystal malts. It's then stored cool and blended with cold-brewed coffee from the good folks at Stumptown Coffee Roasters. It's a blonde ale but exudes all the aromas you'd expect from a great cup of Joe. Packaged in the signature Sixpoint slim 12 oz. cans at 7.2% ABV. One of the first new IPAs of the new year is here, and it comes from one of the most trusted breweries around. Azacca IPA from Founders Brewing is made using one hop strand, Azacca. The new, experimental hop was created by Roy Farms in Yakima and is named for the Hatian god of agriculture. It's full of tropical fruit aromas and flavors, with a lightly bitter finish. It might be the best way to try out this new hop strand, especially when it comes from such a dependable source. You're familiar with the Angel's Share of whiskey that evaporates into the wood during aging. The same applies to beer that spends time in barrels like Lost Abbey Angel's Share Beer. Angel's Share is a Strong Ale brewed with a truckload of caramel malt that helps emphasize the vanilla and oak flavors that make barrel aging so popular. After a year in oak, Angel's Share is bottled at 12.5% ABV and is a sweet, smooth beer with incredible balance.